10 Reasons to get totally addicted to The Body Shop! 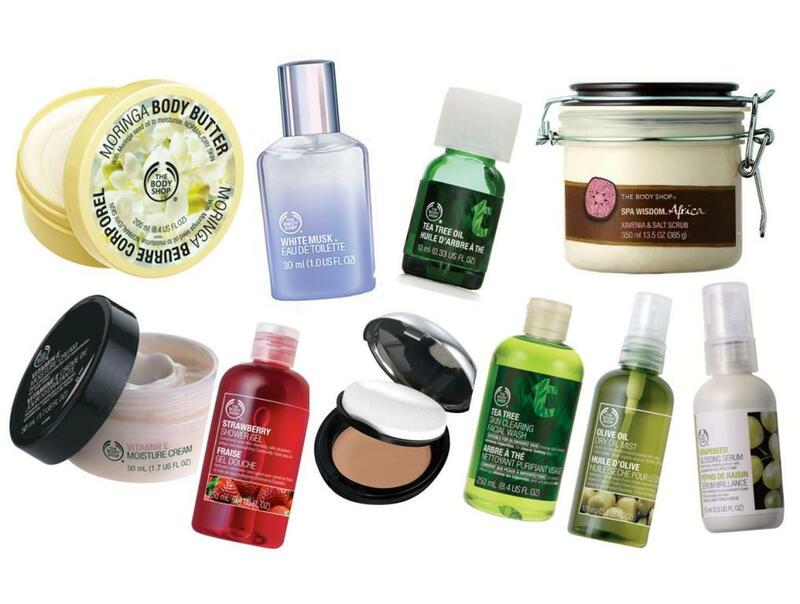 The Body Shop's Top 10 Iconic Products are on SALE! 10 Products withstood the test of time and emerged as iconic best-sellers from The Body Shop. We explain why everyone loves them. The Body Shop has been synonymous with nature-inspired products since it first opened in 1976. From the initial 25 hand-mixed products, the range has grown to over 1,200 products, all 100% vegetarian and animal cruelty-free. What’s more, 80% of our products contain Community Fair Trade natural ingredients, all bursting with effectiveness. Community Fair Trade enables us to source ingredients, gifts and accessories in a fair way, creating sustainable trading relationships with marginalized communities around the world. Winning the hearts of our customers across Asia, 10 special products have stood out. Not only loved for their effectiveness, these products come jam-packed with inspiring stories, charting special moments in the history of The Body Shop. This May, The Body Shop Philippines will be celebrating these icons by offering 20% discount! Mention the words “Body Butter” and The Body Shop immediately springs to mind. We were the first company to launch a Body Butter in the early 1990s and it fast became a cult product all over the world. Our Body Butter is made using a unique process, very similar to chocolate-making, to create the perfect buttery texture. Shea butter, a key moisturizing ingredient in the range, was discovered by The Body Shop Founder Anita Roddick, while making a TV programme for Ghana about women entrepreneurs. Most loved in Asia is our Moringa Body Butter. Formulated with moringa seed oil from hand-picked moringa pods, it has a delicate floral fragrance and moisturizes for up to 24 hours. Launched in 1981, not only was our White Musk® fragrance an instant best-seller, it also represented a landmark in the fragrance industry since it was one of the first animal cruelty-free musks, made without harming the musk deer. Musk remains one of the most natural products in the world, three to five times more valuable than gold, which has fuelled an illegal trade worldwide. 160 musk deer have to be killed for 1 kg of musk. Our synthetic musk is a real hit, with a White Musk® product sold every 2 seconds in Asia*. Our Vitamin E range has been a bestseller for 35 years. Our most popular day cream is enriched with vitamin E, one of nature’s most potent emollients and antioxidants. It effectively moisturizes and softens skin, protecting it against the effects of harsh environmental elements and the appearance of pre-mature ageing. It’s perfect for normal to dry skin types, easily absorbed and has the lightness of a lotion with the moisturizing benefits of a cream. When women all over the world are totally addicted to a single product, it can only mean one thing – the product really works! Based on a survey of over 2,000 women around the world**, the number one thing they liked about this cream is that “it’s effective, it really works”. With one bottle sold every 18 seconds, the numbers say it all. Inspired by African beauty rituals, traditions and ingredients, the Spa Wisdom™ Africa Ximenia & Salt Scrub has been the number one best-seller in Asia over past 6 years. The Ximenia oil used is a traditional hair and skincare conditioner and softener for tribeswomen in Botswana, Namibia and South Africa. This luxuriously creamy cleansing exfoliator give results in silky smooth skin and allows our customers to create a pampering spa experience in their own home, when time doesn’t allow an escape to a resort. *Based on retails sales in Asia Pacific over past 6 years from 2006 to 2011. Amongst our highly popular shower gels, Strawberry is one of the favorites amongst our customers in Asia. It also has one of our favorite stories behind it. Whilst walking through the supermarket jam aisle for strawberry seedless jam, one of our employees wondered ‘what happens to the strawberry seeds?’ Further investigation revealed that they were just thrown away. We found that these seeds can be squeezed to extract the fabulously fruity oil that smells divine and is so good for the skin. We now take the unwanted seeds away from producers of strawberry jam and use them in our Strawberry range. Another great example of recycling from The Body Shop. All-In-One Face Base is our number one selling foundation for a good reason. This quick and easy-to-use combined foundation and powder provides fabulous coverage. It can be used dry for a light matte finish or wet for higher coverage. This foundation contains Marula Oil which has remarkable moisturizing and conditioning properties. We were one of the first companies to use this ingredient in our make-up, creating products that are very easy to blend and feel lightweight on the skin. What’s more, our Community Fair Trade partnership with The Eudafano Women’s Cooperative is 100% owned by women and 100% run by women. That’s what we mean by ‘girl power from start to finish. Our customers can’t get enough of the Tea Tree range. The Tea Tree Skin Clearing Facial Wash is a refreshing cleanser with added peppermint essential oil which cools and refreshes the skin, leaving it feeling tingly clean. In addition to Community Fair Trade Tea Tree Oil, it contains Tamanu Oil from Madagascar, which has fantastic skin moisturizing properties to help stop skin drying out whilst you cleanse, and lemon tea tree from Kenya, which gives the product a zesty fragrance. A top favorite. A spritz of our lightweight moisturization with lustrous Community Trade organic olive oil leaves the skin feeling fresh and soft all-day. A glossing serum that adds great gloss and shine to the hair. It also helps moisturize the hair and is easily washed out. With Community Fair Trade Sesame Oil from Nicaragua which moisturizes and helps soften the skin. Tea Tree Oil is just sooooo worth the price!!! I love it soooo much! Well, Moringa is a tree with many uses and benefits. It produce best quality cosmetic oil and it is best for health and cosmetic products.m Moringa is called the Miracle Tree for it good properties.